Speaking to reporters after his most recent show, veteran British promoter Frank Warren dusted off a saying most often attributed to former Dallas Cowboys quarterback and ABC Monday Night Football color commentator Don Meredith. “It’s not over until the fat lady sings,” said Warren. 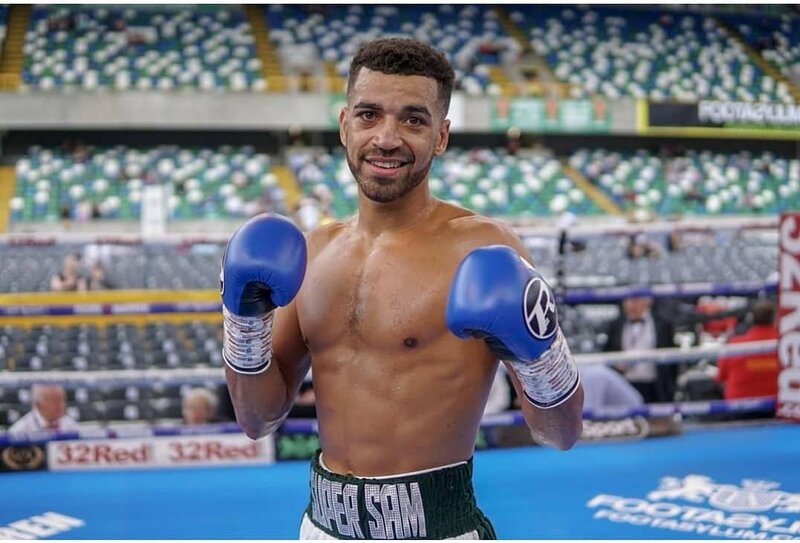 The promoter was reacting to Sam Maxwell’s stunning knockout of Sabri Sediri on Saturday night in Leicester. The video of it went viral, attracting more than two million views within the first 24 hours. By now you have probably seen it too, but to refresh your memory, Maxwell’s opponent, Sabri Sediri, a Frenchman, was comfortably ahead when he started showboating with about 30 seconds to go in the final round of this 10-round bout in the 140-pound weight class. Moments before Maxwell clipped him, Sediri had his hands at his side and was wiggling his behind in a little dance with a sly smile on his face. Sediri had knocked Maxwell to the canvas in each of the first two rounds. Maxwell was wobbled earlier in the 10th and his bruised face gave evidence that he had been taking the worst of it. 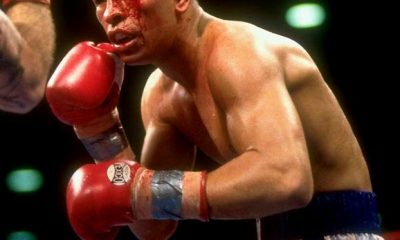 But he responded to Sediri’s indignity with a one-two, a straight left followed by a devastating right that landed just under Sediri’s ear, and the Frenchman went down in a heap. Sediri somehow made it to his feet but his legs were spaghetti and the referee properly waved the fight off. Had the fight lasted just a few more seconds, Sediri would have made it to the final bell and had his hand raised in triumph. Each year in late December, TSS and other publications bestow awards in such categories as Knockout of the Year and Round of the Year. With the final punch that Maxwell threw, Maxwell-Sediri became the early favorite to cop both of these honors. 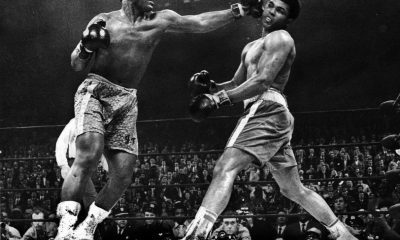 As for Fight of the Year, well, tradition dictates that this goes to a fight of greater import. 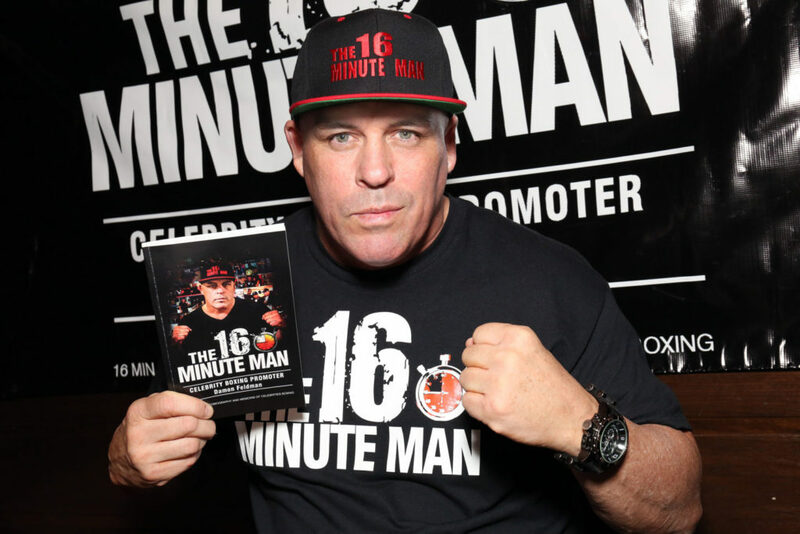 Maxwell-Sediri was on the undercard of show headlined by rising heavyweight contender Nathan Gorman who engaged trial horse Kevin Johnson in a predictably lackluster affair. Frank Warren’s show in Leicester went head-to-head on TV with a more compelling show promoted by his arch-rival Eddie Hearn in London. Sam Maxwell was born in the ethnically diverse London borough of Hackney. At age eight his family moved to a town on the outskirts of Liverpool. He currently spends much of his time in Glasgow where his trainer Danny Vaughan took over the management of a new state-of-the-art gym. 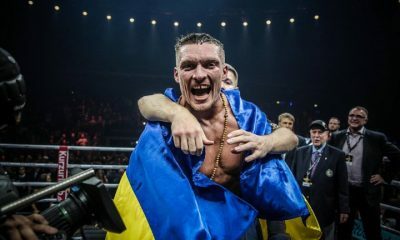 As an amateur, Maxwell defeated Albert Selimov, the only man to defeat Vasyl Lomachenko as an amateur, and competed in the 2014 Commonwealth Games where he lost a close decision to Josh Taylor. 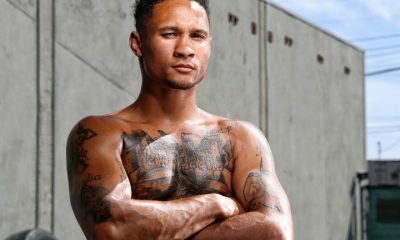 Many rate Taylor the best 140-pound boxer in the world, albeit fans of Regis Prograis would vehemently disagree. 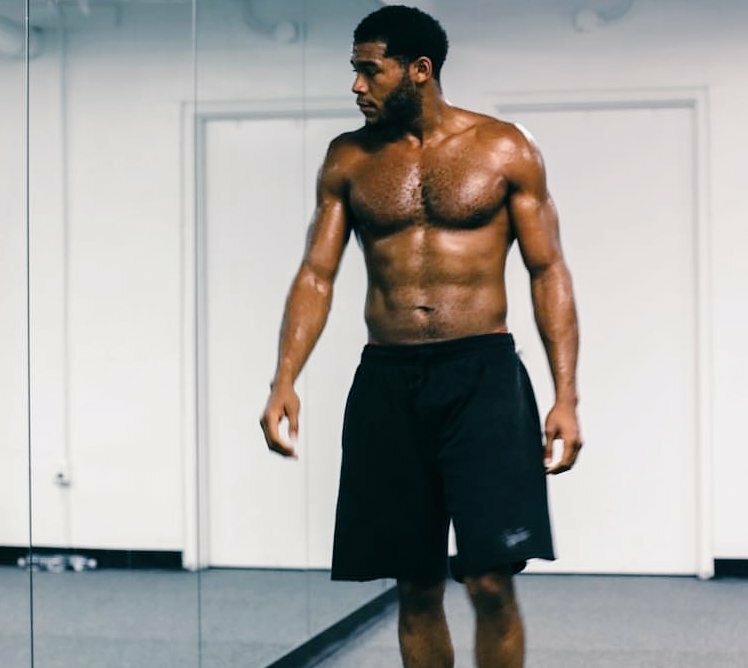 Maxwell also represented Great Britain in the World Series of Boxing where he twice met Lomachenko in 5-round bouts, the first in Kiev and the second in London. He lost both, but was competitive in their second meeting. That being said, Maxwell notes that his second meeting with Lomachenko, in which he wasn’t overwhelmed, was a pivotal moment for him, alleviating his qualms about whether he had a future at the next level. 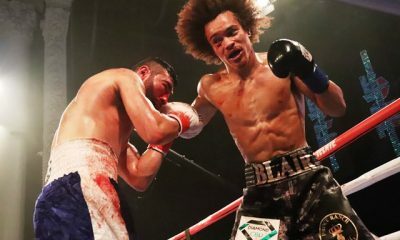 Maxwell, now 30 years old, made his pro debut in October of 2017 at Liverpool, opposing the infamous Ibrar Riyaz who at last glance had won only six of his 162 pro fights. Fighters of Riyaz’s stripe undoubtedly list their occupation as boxer but they have more in common with pantomime artists. 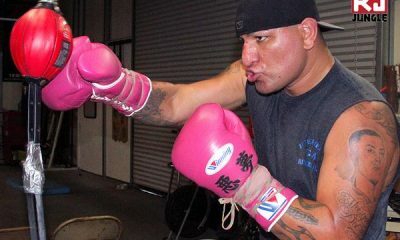 In his last fight before facing Sabri Sediri, Maxwell again faced a professional loser, Jamie Quinn (4-74-2 going in). While Quinn’s probability of winning was approximately the same as the sun rising in the west, it’s notable that Maxwell dismissed him in the opening round, caving him in with a couple of body punches. This was out of character for Quinn who had been stopped only once previously. Maxwell was scheduled to fight Spain’s Kelvin Dotel on Feb. 23, but that fight fell out when the entire card was scrapped. That opened the door to Sediri who was undefeated (10-0-1) and at a similar stage of development. 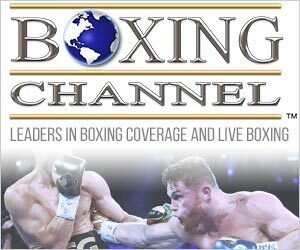 This would be Sam Maxwell’s first televised fight. When Maxwell (now 11-0, 9 KOs) clocked the Frenchman, it wasn’t the actual punch that elicited so much glee, but rather what it symbolized. “Sudden Sam” marched the entire universe of showboating athletes off to the woodshed for a good spanking, including those American football players whose self-serving end zone celebrations ruffle the feathers of so many long-time fans. 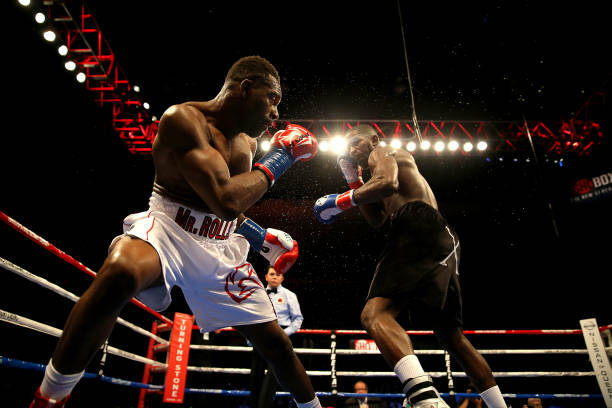 Before the fight, there was talk that Maxwell, if victorious, would go on to fight countryman Ohara Davies. 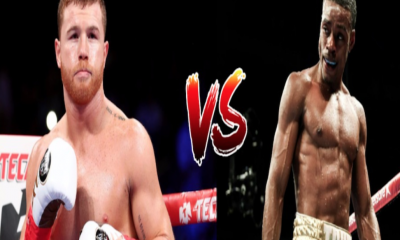 The fight that he covets, however, is a third encounter with Lomachenko, a fight that could set him up financially for life. True, he would have scant chance of winning, but stranger things have happened, just ask poor Sabri Sediri. 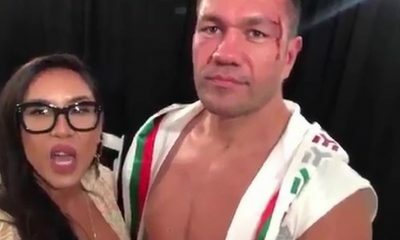 Should that fight ever transpire, Maxwell, who took up boxing at age 12, could claim that he had paid his dues, but in reality it would have been a showboating Frenchman that propelled him there, a boxer who failed to heed the admonition “protect yourself at all times” and learned a hard lesson.